So cute yet so much work! 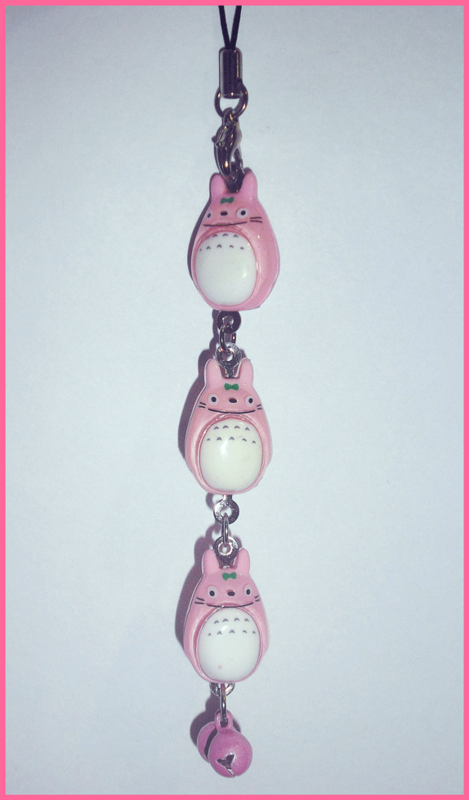 What’s Better than a Pink Totoro? My first Studio Ghibli film was Spirited Away and is still hands down my favorite. 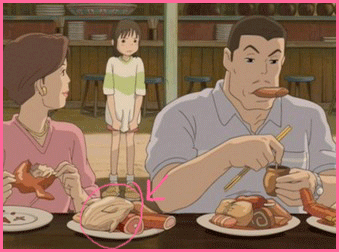 Especially the scene when her parents start eating the food that was made for the gods and Chihiro’s dad eats that soggy chicken thing whole! They make it look so yummy!!! From Up on Poppy Hill – I love this film! It’s just soft and pretty and filled with hard work and fulfilling your obligations. However there is a part that infuriates me but is also a pivotal point in this show. Can you guess what part that is? Lupin III: The Castle of Cagliostro – A pre-Ghibli film I know but was really well done and the English voice cast was excellent! They don’t match up with current voice choices but they weren’t trying to be someone else and that wasn’t a bad thing. Kiki’s Delivery Service – I know it was a terrible thing when Kiki lost her witch powers but it prolly would’ve been awkward talking to Jiji at that time anyway since he was getting it on with the neighbors cat. Just sayin’. Ponyo – Adorable and weird! Like a chibi-ized version of the little mermaid. I had watched this in Japanese first and what I don’t understand is why Sosuke called his mom by her first name. Is this common in Japan? The Cat Returns – Cute and funny! Baron plays the part of the hero quite well. I don’t know about you but I certainly understand why her heart went ドキドキ! Howl’s Moving Castle – I love watching this one because – there’s kissing in it! Well that’s not the only reason – but I do wish that their characters were a little bit more defined. Even with that I think it’s more enjoyable than the book it’s based off of. The Borrower Arrietty – I’ve heard that the English voice of the boy is too mature/deep. Considering that he is a giant compared to Arrietty shouldn’t it be? Porco Rosso – “I’d rather be a pig than a facist” is the line I’ve seen referenced most recently about this film and heard that it has a one sided love thing going on in the background. Still I’m willing to watch it once. Whisper of the Heart – I heard it’s really boring. But I like “From up on Poppy Hill” and have managed to sit through several (painfully slow) episodes of “To Heart.” Can’t be worse than that – right? My Neighbors the Yamadas – The film I look least forward to watching. Without watching it, it reminds me of Shin-chan which I don’t like. Pom Poko – Balls and death. I am not watching it again. Princess Mononoke – I watched it twice and didn’t like it both times. Blood, gore and Anna don’t mix. Castle in the Sky – I didn’t particularly dislike this film as much as I don’t understand this film. The bad guys end up being allies fighting against more bad guys and the ending was eh…. Surprisingly my younger brother really liked this film and has watched it more than I have. What is your favorite Ghibli film?